Green Valley Recreation, Inc A non-profit organization operating 13 recreation centers which give GVR members unlimited possibilities for play, leisure and learning in this active 55+ community. The Summer Course Catalog and AE Summer Brochure include GVR’s corporate color scheme and font, illustrative maps and PhotoShop editing. 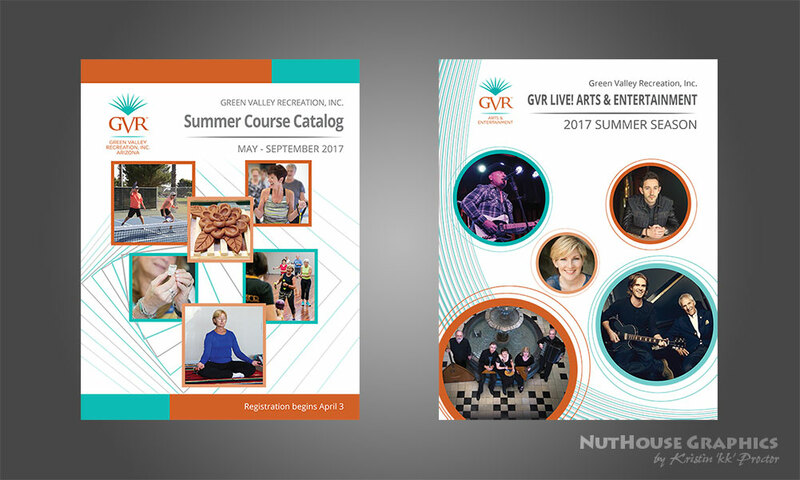 An aesthetic goal was to create a design that compliments the GVR Summer Course Catalog. Both designs have white backgrounds with geometric shapes encompassing the class or performer photos.